Last updated by Hannah Nolan at April 6, 2015 . Life always has its ups and downs and in the past month it has been a bit of a rollercoaster. With a combination of family illnesses, deaths (and of course that big old stressor of being a parent), the past few weeks has thrown my eating habits right out the window. Like many of you, I would class myself as an emotional eater – I lose some control of what I eat when I’m sad and when I am stressed (and when I’m happy or when I’m celebrating ha ha…..you get the idea). For most of the time I would be fairly good and consistent with planning my food each day but I am human (yes, its true :)), and I do give in to my own emotions. I suppose the difference between now and then is that now I can SEE when I am going off the rails and am able to pull it back before it goes out of control. I immediately get back to using my diary and tracking everything. Working in the weight loss & fitness industry, having my own weight loss business and even helping others lose weight and getting fit doesn’t mean I get a free pass to never gaining weight or have some special body that prevents it from being unhealthy and have bumps where bumps shouldn’t be…I am just like you and I have the exact same stresses and emotions and problems with weight as you do. This is something that you CAN do too. It took me just over two years to reach my goal; so it wasn’t over night. I probably could have reached my goal quicker but I love food, I made silly mistakes (a lot of them), I started and gave up too many times and when I started to lose weight I got cocky and weight went back on; but with every mistake I made I learnt from it. It was only by making all those mistakes was I truly able to succeed. It can be very easy to focus on the negative – but actually by treating the negatives as positive learning experiences instead you will gain much more from them without beating yourself up about it in the process. If you are trying to lose weight and feel like you are struggling or feel like you keep hitting a ‘brick wall’, then try to do as Monty Python said, “Always look on the bright side of life”. We were always taught when we were children to learn from your mistakes and it is probably what you teach your own children. Why is it when we become adults that we forget to practice what we preach, “learn from your mistakes”. You may feel like you are always making mistakes…and you will. You will make mistakes. There will be times that you will want to give up. There are times that you may feel like failing, but remember; YOU CAN ONLY FAIL IF YOU STOP TRYING. 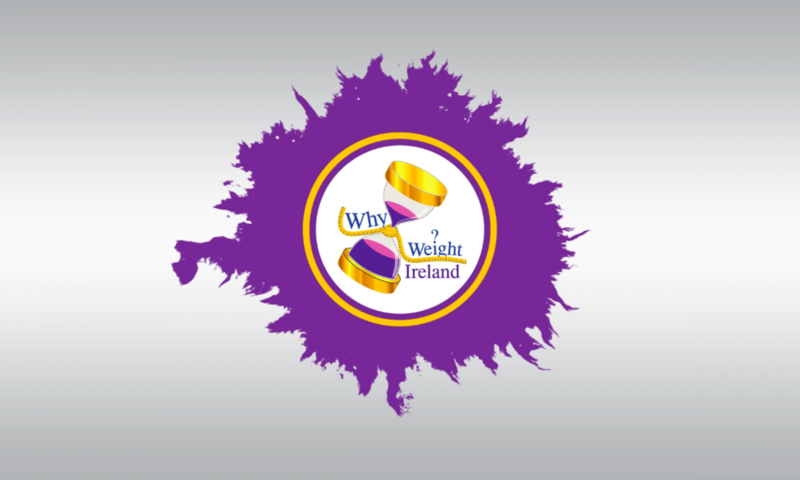 I wrote the other day on the Why Weight Ireland members community page that writing down some of your feeling, your goals, your reasons and thoughts down on paper could really make a difference. Sometimes that initial reason and fire to get your started can burn out – but writing a note or letter to yourself can help you to keep the momentum and help you to continue to reach your goal. It isn’t always what you expect it to be. Life throws you curve balls that can throw you off balance…….but you CAN succeed in your goals. Sometimes they need changing, sometimes you may need to “tweak” your dream or the date you get there. But if you keep some sort of goal in your head and aim to make something positive out of every little milestone then you WILL eventually get there. YOU HAVE THE RIGHT TO BE HAPPY WITH YOUR BODY. YOU ARE STRONG ENOUGH TO REACH YOUR GOAL. YOU CAN BE WHOEVER YOU WANT TO BE. YOU DESERVE TO HAVE PEOPLE AROUND YOU THAT CARE. BE STRONG. STAY POSITIVE AND YOU WILL SUCCEED.